More than 150 MPs are calling upon the chancellor George Osborne to remove a planned increase in fuel duty from his coming annual Budget. According to the results of new research from the RAC, the proportion of UK fuel costs that are now made up of tax have reached their highest level in seven years – largely as a result of the significant collapse in oil prices that has been witnessed during recent months. Chair of the All-Party Parliamentary Group for Fair Fuel for Motorists Jason McCartney has therefore written to his fellow elected representatives to lobby for any upcoming duty rise to be scrapped. Indeed, the RAC’s research showed that 74 per cent of the price of a litre of diesel or unleaded petrol in the UK is now paid back to the government in tax. This was highlighted as the greatest proportion in duty costs for fuel since 2009. 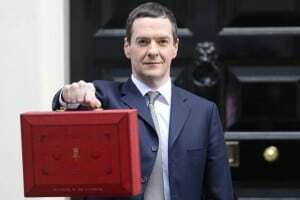 A hold on any potential fuel duty increase will therefore be one of the first things that motorists and fleet operators alike should be looking out for when this year’s Budget is unveiled by the chancellor on March 16th.